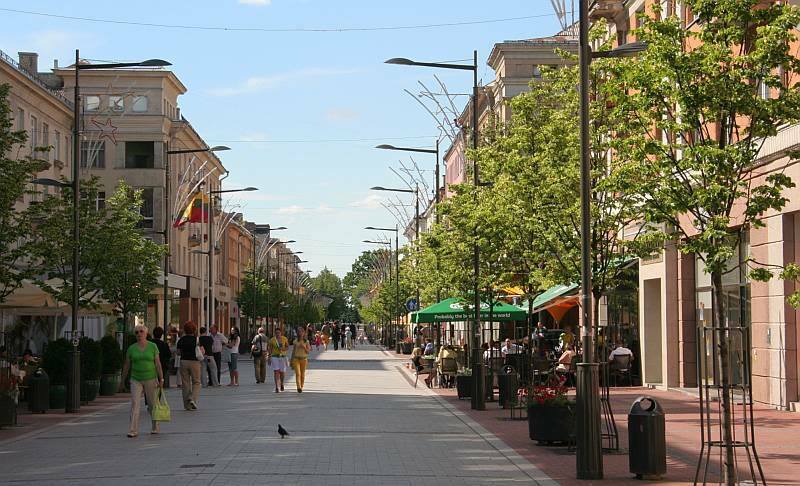 Vilniaus street, “The Boulevard”, is the central street of Šiauliai city. Vilniaus Street in Šiauliai became pedestrianized boulevard in 1975 and it was the third such a venue in Europe and the first in the Soviet Union at that moment. 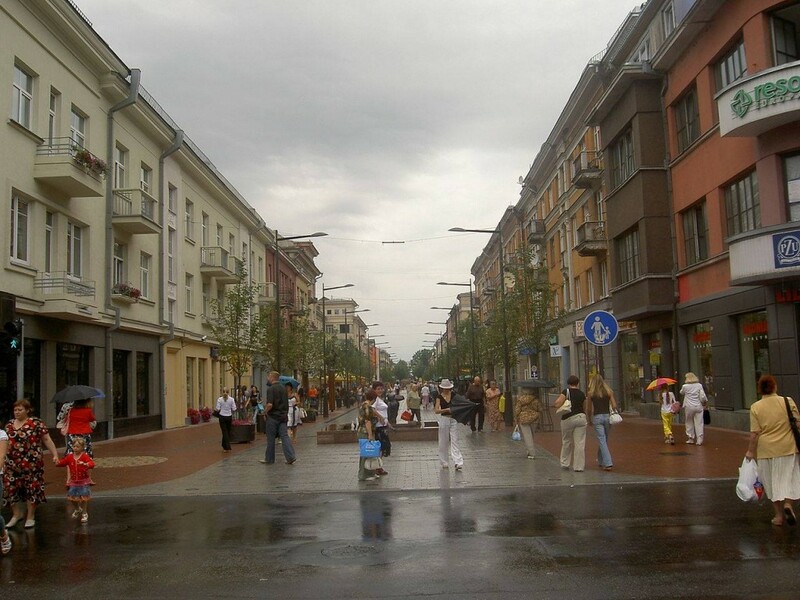 Interesting fact is that the authors of the famous pedestrian boulevards Laisvės alėja in Kaunas and Arbat Street in Moscow have consulted with the authors of Vilniaus street, when they were constructing those avenues. 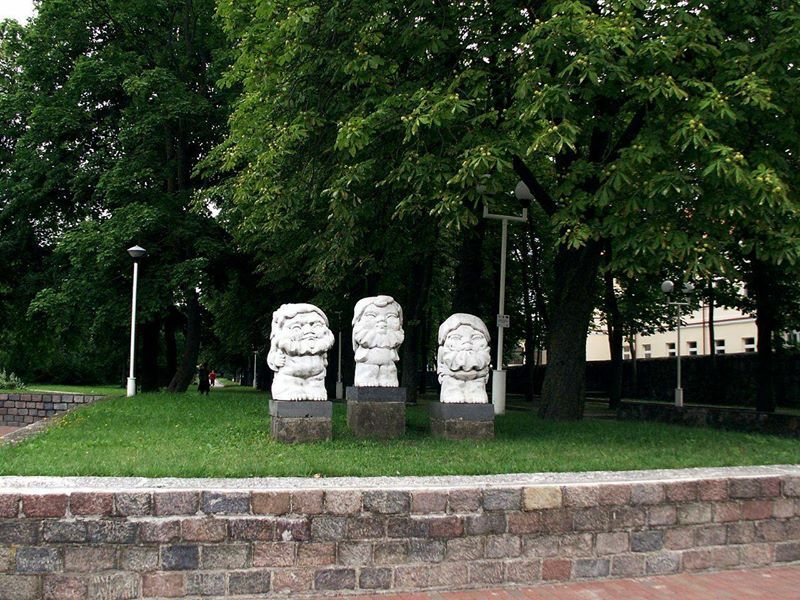 The Boulevard was renovated in 2009 and now it has numerous small sculptures. Nowadays Vilniaus Street is the main downtown hub for restaurants, peaceful stroll and tourist activities.The pedestrian zone begins at Vilniaus/Žemaitės intersection. Nearby residential courtyard hides a modest St. Ignacio church while the Šiauliai art gallery stands street side. Further eastwards on the street it is Radio/TV museum. The Vilniaus/Tilžės intersection is where the history of Šiauliai began. Now a rooster statue that greets visitors in many foreign languages makes it.